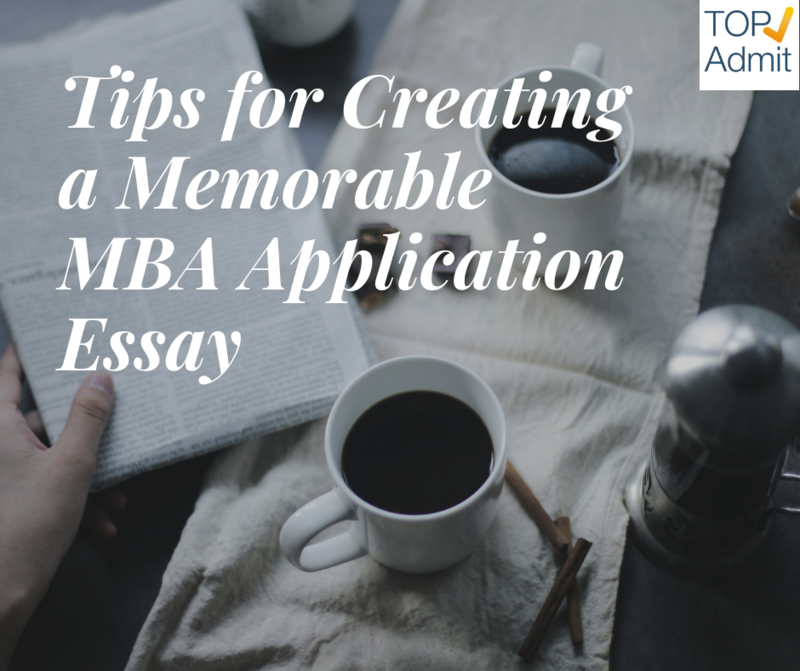 Three simple steps you can take to ensure your MBA application essay is noticed and give your whole application a boost. Amy Mitson is Senior Associate Director, Recruitment and Communications, Admissions at the Tuck School of Business, Dartmouth. What if I did this blog post in haiku format? That might be fun. It might get me noticed and it could get me some style points with readers out there, but how much could I truly express? On the flip side, what if I ignored all word limits and keep writing and writing? That might also get me noticed, too, but not in a good way. When was the last time you tackled the task of essay writing for an audience? Perhaps you have not written an essay since your college applications or maybe you write every day, but only for yourself. Regardless of your writing fitness, we are likely asking a unique question for submission to a unique audience (the admissions committee). This may require reflection and inspiration. There are places I go for inspiration that help me set the stage for creative and focused thought. Find these places for yourself. Sometimes I let my mind wander while swimming laps during my morning workout, sometimes mid-afternoon I walk down the road to a food truck for a giant cookie (yes, food for thought), and sometimes I brainstorm with a colleague. These actions help shake up my thoughts so they eventually align on the page. Over the years, many schools have changed the number of required essays as well as the content of essay questions, but most continue to ask for essays. Why? Because we value the expression of your candidacy in this format. Essays are a piece of the MBA application because we are truly interested in your answers. A memorable essay draws authentic connections between you and the school. This will not be a laundry list of buzz words or faculty names from our website. A memorable essay is clear and reflects who you are as a person, what you hope to get out of the program, and how you will be able to contribute. 1. Answering the question. This is tough because it requires focus. There are likely numerous details you would like to share with the committee about your candidacy. Through the many facets of the application, plus the interview, you will have the opportunity to do so. For now, though, the specific essay question you are looking at is your priority. Essays are a chance for you to really tell your story. Be sure you understand the questions and that you answer the question that is asked. That may sound obvious, but many applicants try to make an essay they wrote for another school fit the question, or they may use the question as an opportunity to say what they want to say instead of what the committee has asked. Please leave your worries behind and answer the question being presented. 2. Use only your voice. Tell us your story in a natural and honest way. Tell us what you really think, not what you think the admissions committee wants to hear. Your response should be descriptive, straightforward and sincere. Take time to think, then write – these are not easy questions to answer. 3. Proofread. Typos create a poor impression, and inserting the wrong school name in your essay creates a very poor impression. Unfortunately, it happens. Find a friend who can give your essay a second look. You have probably read it a dozen times and might need a set of fresh eyes. Spell check and grammar check are a great start, but double check these checks… and then you will really be getting somewhere!